Spring is here. Summer is soon on the horizon. 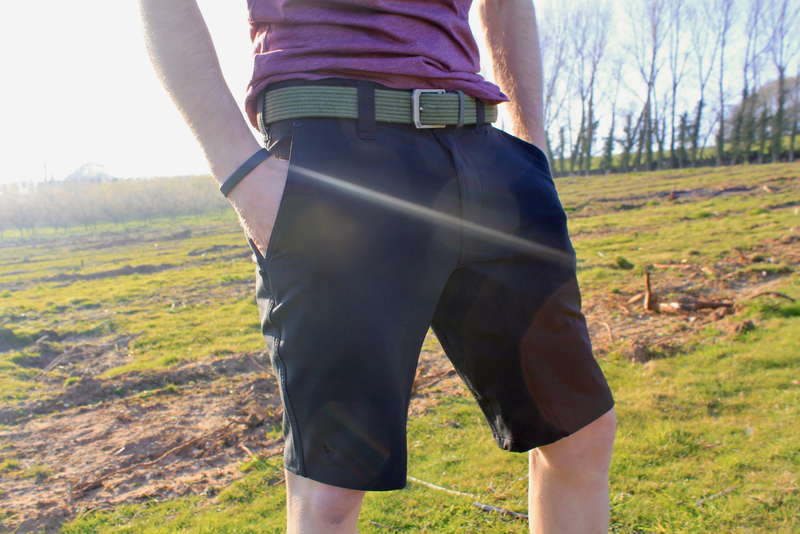 Shorts are the way forward, and the new Folsom Short 2.0 from Chrome Industries has become one of my go-to options for casual wear and casual riding. On a recent trip to Berlin—the city that oozes urban cool—I spotted a definite trend… Chrome. Chrome Industries messenger bags adorned more shoulders that I could count, and if a guy or girl riding a flat bar fixie pulled up alongside the tram, then it could be almost guaranteed that they were rocking some piece of apparel or luggage from the distinctive American brand. One of the brand's straplines is 'Building Indestructible Gear Since 1995', and damn is that right. This is the brand that first invented the swing-over messenger bag; using seatbelt buckles and straps, five bar webbing, and double-lined bombproof interiors. From the outset, the brand was built for the urban jungle.